If you are planning to start your own business, your business credit is just as important as your personal credit. Creditors and suppliers are referring to your business credit reports for a strong credit history before they will lend you money. To get you on the road to success, here are 11 steps you should take to begin establishing good business credit. 1. Establish a federal employer identification number. This is one of the first steps to laying the groundwork for a new business. A federal EIN, issued by the IRS, is used to identify your business as its own entity and is also used when registering with the business credit bureaus like Dun & Bradstreet. 2. Secure a DUNS number from Dun & Bradstreet. Once you have established an EIN for your business, you'll need to obtain a DUNS number from Dun & Bradstreet. As one of the key business credit bureaus, their PAYDEX score is used by many lenders to decide how creditworthy your business is. Dun & Bradstreet has many paid services, but you can get a DUNS number for free. 3. Open both business checking and savings accounts. Once you open both a business savings account and a business checking account, your business will be able to demonstrate a history of payments, revenue, and cash flow. This will show creditors that you are responsibly running a fully operational firm. If you have a long-standing relationship with your personal bank, it may be a good idea to open your business accounts with them. Since there is an existing relationship, this could get you automatically approved for lines of credit and/or business credit cards. Opening certain kinds of commercial accounts (utility company, phone, hosting or internet provider, bottled water, etc.) for your small business and sharing a history of payments can go a long way in showing how fiscally responsible you are. Securing commercial credit is a simple way to begin creating a strong business credit profile. 5. Get a dedicated business address and phone number. As a startup, you may not have a physical office location yet, so look into setting up a virtual office so that you have a business address. For a phone number, consider a VoIP service (Voice over Internet Protocol) rather than a cell phone. Business directories like yp.com and local.com are where the credit agencies and lenders get their data from, so it is important your contact information is consistent across all of the popular business directories. Here is a compilation of 57 online business directories to refer to. 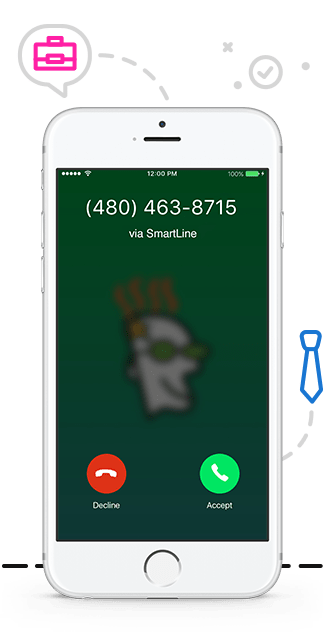 If you're not ready for VoIP and are simply trying to separate your personal and business calls as you start out, try GoDaddy SmartLine. If you’re located in the U.S., SmartLine allows you to choose a second business number in just a few minutes — including a toll-free one if you wish to appear even more professional. Once you download the app (iOS or Android), you just link it to your existing phone number and start to make and receive calls and texts immediately. This small step can make a big difference in establishing yourself as a responsible and creditworthy team. 6. Open a secured business credit card. Being a brand-new business, it's tough to get approved for a credit card because you don't have a credit history. This is where a secured business credit card comes in handy. You can get a credit line equal to the amount deposited onto the card. Even if it is just $1,000, it can be worth it. The monthly reporting that is sent to the credit bureaus will go a long way in establishing a positive credit history for your business. 7. Establish lines of credit with vendors. Big-box stores like FedEx, Staples, Office Depot, and Home Depot are among the businesses that report back to the credit bureaus. You may already have relationships with these businesses, and a quick phone call to request a credit line may be all that you need to do. You should also look into a gas card. Many stations offer corporate gas cards that report back to the bureaus as well. Ideally, you want to have more than five of these vendor accounts reporting back to D&B, Equifax, and Experian. 8. Hire a business credit coach. Enlisting a business credit coach can be very helpful in making the credit-building process easier. Aside from educating you on the process, they handle things like sending out letters to creditors and credit-reporting agencies to get items removed from your personal credit report. They are also helpful in providing lists of businesses and credit cards that are typically easier for your company to get. 9. Do not submit too many applications. If you go out and apply for multiple loans and credit cards at the same time, lenders may get the impression you are trying to get a large sum of money all at once. In turn, they may think your business is having trouble, which you do not want. Apply for credit only if you really need it — and consider other ways of financing your business, such as venture capital or simply organic growth over time. 10. Pay your bills on time. Paying your bills on time is one of the most important things you can do for your business. Each payment you make on time brings you that much closer to paying off outstanding balances and establishing a positive reputation and credit history for your business. Prioritize bookkeeping with simple yet powerful software like Pilot to stay on track. 11. Rein in employee spending. Companies waste a lot of money if they aren’t careful. Long, unproductive meetings; unneeded technology, travel expenses, rent — these quickly add up and can mask achievements you’re making toward bottom-line growth. A tool like Teampay can help you better track and solve challenges with employee spending. 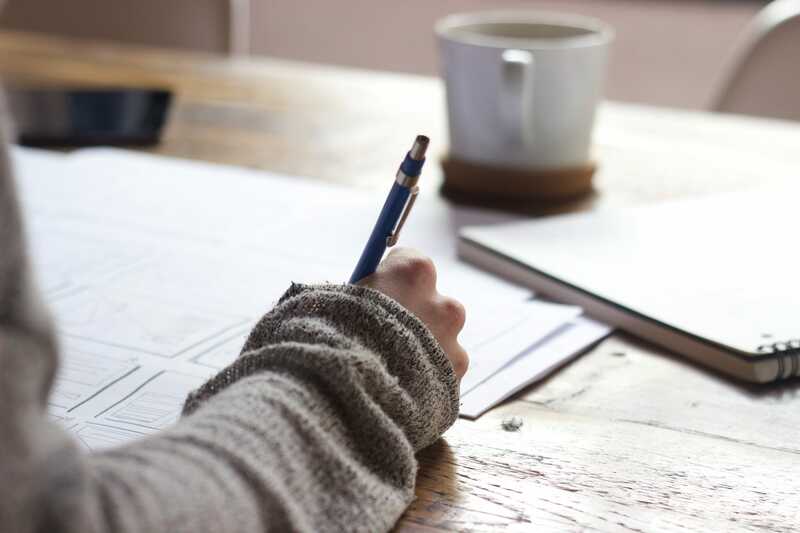 This will go a long way toward allowing you to pay your bills on time (see #10), maintain a clean balance sheet, and prepare yourself for taking on a line of credit. The process of building good business credit is key in helping you attain business credit cards, lower-interest loans, and favorable terms from suppliers. It can also be helpful in attracting new customers because your business credit score is accessible, and consumers will use it as a way to gauge your trustworthiness. In sum, this metric contributes in many ways to long-term growth. Don't neglect it!